Celebrate the Christmas spirit with the natural beauty of the flute family. Poignant and playful, these exceptional arrangements uniquely capture the excitement and grace of the holiday season. Do not make the mistake of assuming that an all-flute instrumental Christmas album is a homogenous, one-sound affair! 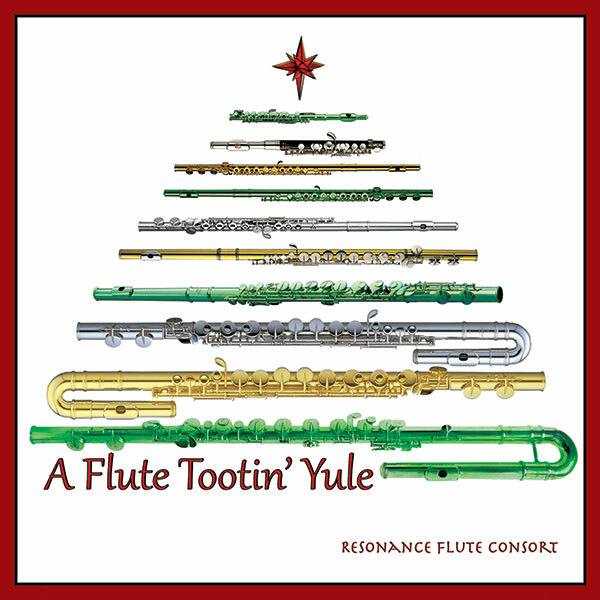 The Resonance Flute Consort’s A Flute Tootin’ Yule produces sweet holiday music in a surprisingly diverse range of instrumental voices, from the high-pitched piccolo to the deliciously deep contrabass flute, and everything in-between, including the new age whisperings of pan pipes! This is a fun release, a readily accessible classical album that presents serious musicianship while maintaining a light-hearted spirit. What a welcome addition to holiday music collections! 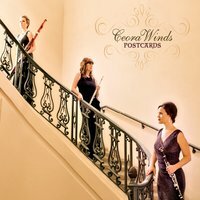 Imaginative sparkling transcriptions by a group of Los Angeles’ top flutists. A Flute Tootin’ Yule is a wonderful musical surprise. From the piccolo to the contrabass flute, this ensemble of consummate artists performs on an array of holiday favorites in grand style. Their seventeen inspirational renditions of holiday favorites will certainly bring smiles all around year after year. This CD is full of joy and highly recommended. 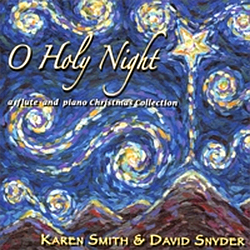 This CD is one of those that needs to be in everyone’s Christmas collection. It is full of great and clever arrangements performed by truly fine flutists. -Jim Walker, flutist in over 400 motion picture soundtracks, former Principal Flute of the Los Angeles Philharmonic, leader of the jazz-fusion quartet Free Flight. Do not make the mistake of assuming that an all-flute instrumental Christmas album is a homogenous, one-sound affair! 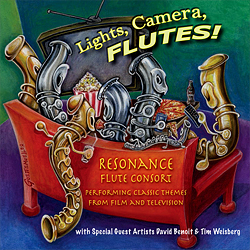 The Resonance Flute Consort’s A Flute Tootin’ Yule produces sweet holiday music in a surprisingly diverse range of instrumental voices, from the high-pitched piccolo to the deliciously deep contrabass flute, and everything in-between, including the new age whisperings of pan pipes! This is a fun release, a readily accessible classical album that presents serious musicianship while maintaining a light-hearted spirit. The six professional flutists (Norda Mullen, Michelle Matsumune, Julie Long, Shannon Christianson, Rik Noyce, Karen M. Smith) who make up the consort are masters of their art. The playing is crisp and emotive, playful and polished. The 17 tracks include five works from the Corelli Christmas Concerto and a broad array of popular numbers reflecting the sacred and the secular, as well as ancient and contemporary. The album opens very well with the title track “A Flute Tootin’ Yule,” a delightful, seamless meld of multiple holiday favorites. 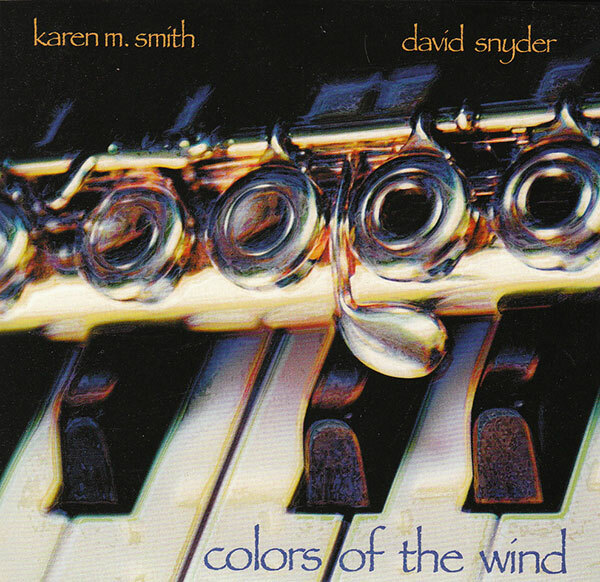 The classy Corelli segments occupy eight minutes (25% of the album’s total length); these stately pieces have elegant flow and intense beauty. “Pat-a-Pan” conveys mesmerizing rhythms that inexorably pull the listeners through its exotic domain. The whole package is impressive! A Flute Tootin’ Yule would provide excellent ambient music for any holiday affair. Welcome these wind instruments into your home this season, and the Resonance Flute Consort will not disappoint!